There's no greater adventure than a charter fishing trip, and no better captain than Doug Karakas of E-Fish-N-Sea. 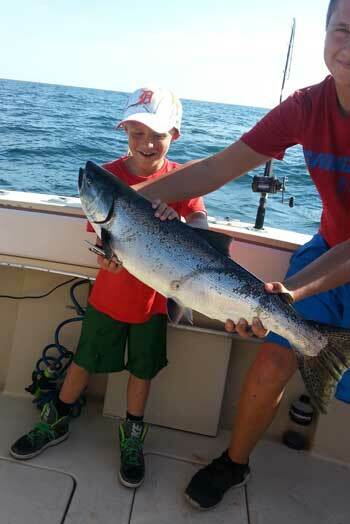 Based out of the Ludington port on Lake Michigan, you'll find some of the best fishing around, with bountiful supplies of Chinook, lake trout, steelhead, Coho, and brown trout. Doug's 28' Cherokee is equipped with the latest electronics and rods, reels, and tackle. 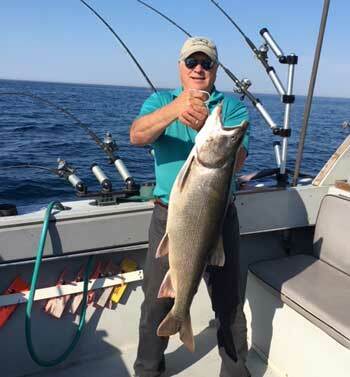 He is fully insured and licensed, and has over 30 years fishing experience on the Great Lakes--which means you're in good hands. Doug has loved fishing since he was a little boy, taking his family out on the lake in the 1970s in his first boat "Capt.-N-Hook." He was a charter captain in the making even back then, talking to anyone and everyone about fishing. 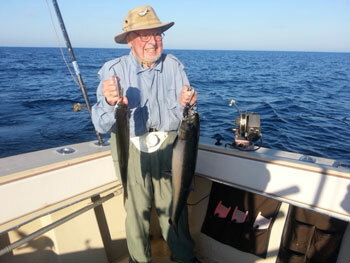 He's been a member of many associations, including the Michigan Salmon and Steelhead Fisherman's Association and the Ludington Charter Boat Association--freely giving his time to teach the public about sport fishing and how enjoyable it can be. Doug is fully trained in both first aid and CPR, and has experienced mates on board to make your charter boat experience safe and fun. The ship is a 28' Cherokee Sportfisherman, perfect for larger parties. It is USCG and DNR inspected for your safety and has GPS Navigational equipment, fish finder, and VHF Marine Radio. For your convenience, Captain Karakas takes care of all the rods, reels, and tackle...and will even clean and bag your catch of the day! If this is your first charter boat excursion, you may not know what to bring. Since Captain Karakas takes care of all the fishing gear, you just need to bring your fishing license (for those 17 and older), you camera, sunscreen and sunglasses, something cool to drink, and a cooler for your fish, which you're guaranteed to catch! You may also want to bring a sweater, jacket, or rain gear, as it can get cool out on Lake Michigan. There's even Dramamine available if you're prone to seasickness. Captain Karakas keeps a good eye on the weather and will not go out if the conditions look unfavorable. Deposits will be refunded due to inclement weather, and if your charter trip must be cancelled, Captain Karakas will try to reschedule it in the future. 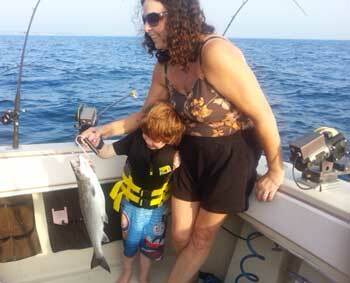 From late spring to early fall, charter boat fishing is in full swing on Lake Michigan. If you've never tried it, now's the time. Trust in the experience of Captain Doug Karakas and schedule your charter aboard the E-Fish-N-Sea.